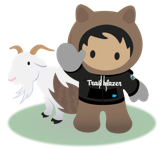 Notify the user when they are about to be logged out of a Salesforce community. Currently, if I am in a Salesforce community, I can let the page sit inactive for a while. When I try to edit the page, I can do so but when I try to save my changes, I lose the information I entered and am redirected to the Salesforce login page without any warning. In standard Salesforce, the user is notified of being logged out so they don’t lose any productivity time in trying to enter data and then losing it. The experience should be consistent in a Salesforce community. Ultimately, we’d like the same warnings given in standard salesforce about being logged out to also be available to users in a Salesforce community.